Phraphutthamingmongkhol-akenagakhiri Buddha, "Happiness on Top of Nagakerd Mountain" Contemporary art. Seated Buddha statue in Subduing Mara. Fundaments: 50 ferroconcrete piers as deep as 12 meters. 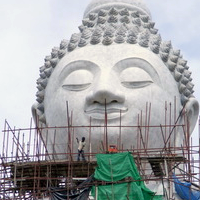 Width: 25.45 m. Height: 45 m. Reinforced concrete structure adorned with white jade marble, Suriyakanta, from Myanmar (Burma). 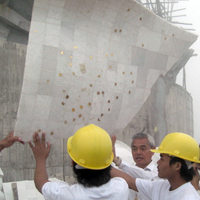 The weight of the white jade marble is approximately 135 tons per 2,500 sq.m. 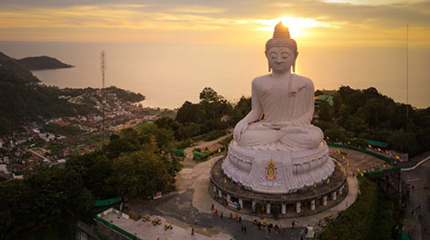 The statue was established on the top of Mount Nagakerd, Subdistrict Karon, Phuket Province. When creating Buddha's statue is the worth remaindering that the Buddha attained Nirvana. Historical, Buddha was born as the son of a king but decided to renounce his luxurious life and became a perfectly enlightened being who has achieved the highest knowledge of truth. The Buddha, Great teacher in Buddhism, taught Dharma for the world. The teaching of the Lord Buddha is to avoid all evil; to do good; to purify one’s mind. Buddhist followers associate morality to bring about harmony and happiness in their lives. 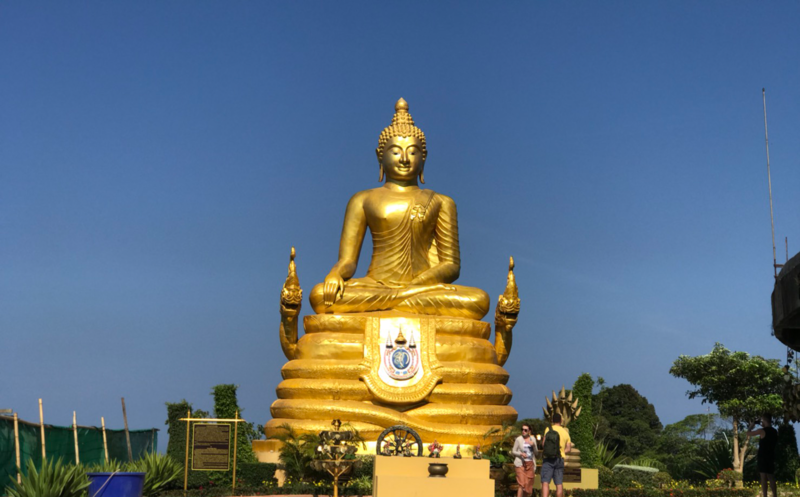 A plot of land on the top of Mount Nagakerd with beautiful landscape views of Phuket and surrounding the Kittisangkharam Temple was donated by faithful Buddhist followers. 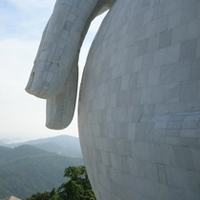 The area is large enough to enshrine a very graceful Buddha statue. 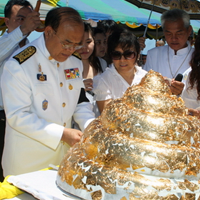 In order to be a form of respect to the Buddha as Buddhanusati, the way of making merit, legend of the land, center of mind, special communicating instrument to spread Buddha’s Dharma in mind and society.